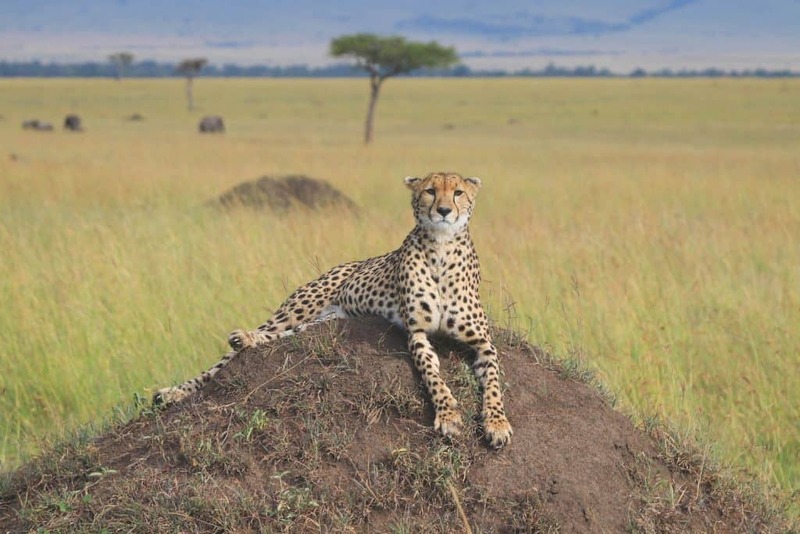 It is undeniable that the Masai Mara is one of the most well-known parks in Africa. My first thoughts of going on safari in Africa were of Kenya and its wide-open grasslands. The fact that Kenya is home to the original safari and the Masai Mara is the epicenter of the industry should come as no surprise. 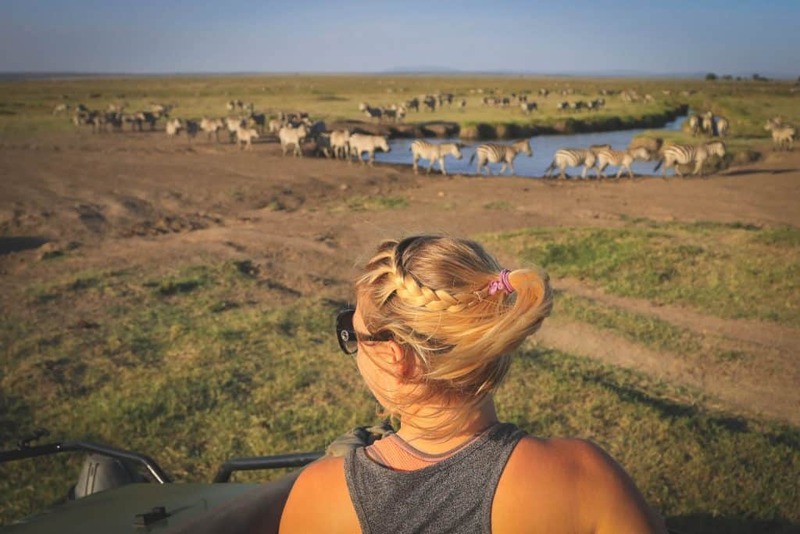 Located in the Southwest of Kenya the 1,510 square km Masai Mara National Reserve is home to an abundance of game including the seasonal wildebeest migration. The migration is the greatest wildlife spectacle on earth, when over a million wildebeest cross plains, valleys, and rivers in search of fresh pasture. 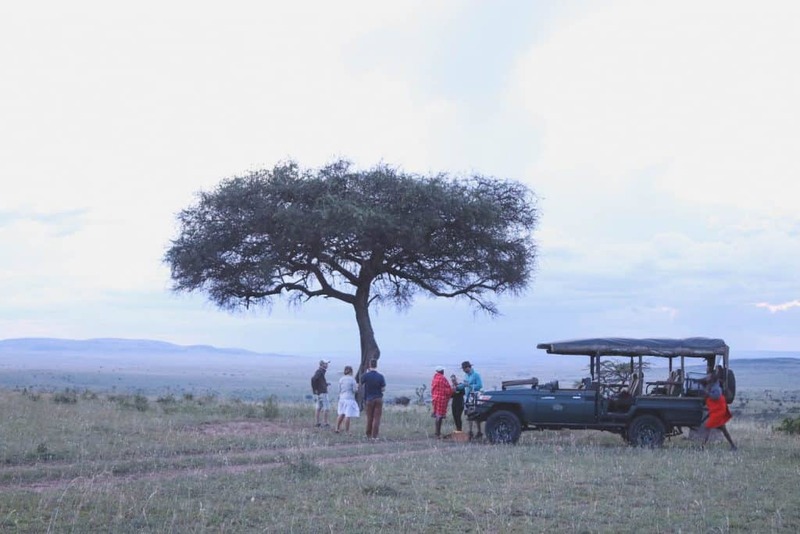 A Masai Mara safari is sure to ensure visitors with incredible game viewing all year round. Every day we went out into the park we saw something incredible. 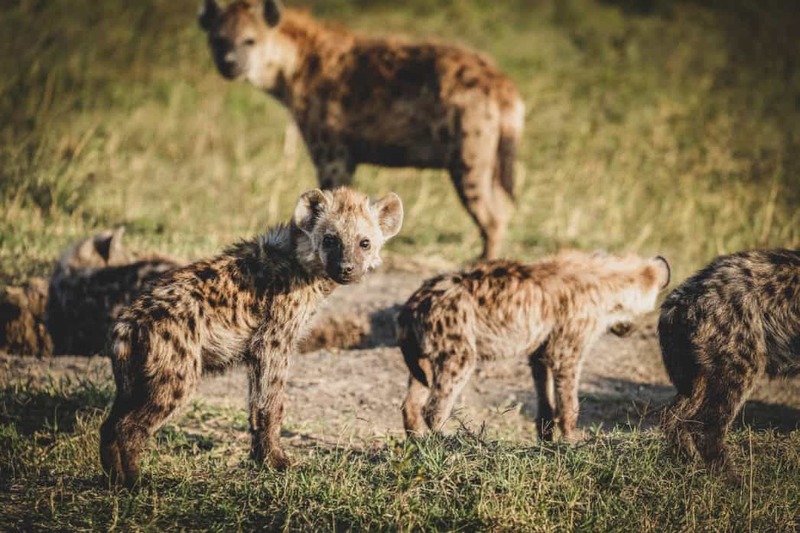 I was amazed watching hyena pups sniff our car tires, elephants rub against our tent poles in the night, and a pride of lions kill and devour a zebra. Despite being one of the most popular spots to go on safari in Africa the reserve blew us away. The name Masai Mara comes from the famous Maasai tribe who inhabited the reserve. 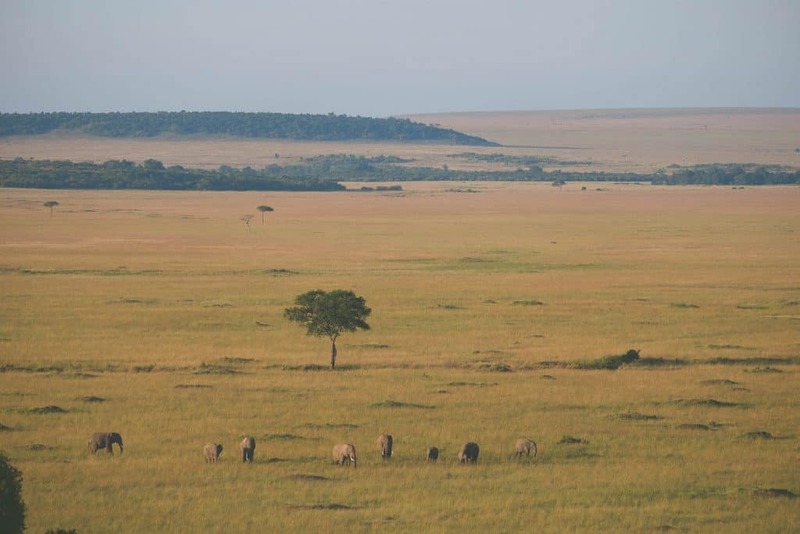 While, the mara comes from the Maasai word meaning “spotted,” an apt description of the landscape from above. It is a part of the greater Serengeti-Mara ecosystem and shares a border with the famous Tanzanian national park the Serengeti. This entire region of the world is tremendous for wild game and is home to millions of large animals. In this guide, we’ll cover the basics to a safari in the reserve. After finishing up a six month long drive from Cape Town to Kampala we could not have been more thrilled to have a safari in the Masai Mara. For once, we were going to sit back, take flights, and let the experts take us around an amazing slice of East Africa. Our expectations were very high; however, we were not let down. In all our time in Africa, we have never seen so many big cats. In one day we saw three separate lion prides and kills. It is official – safaris have spoiled us. Things like silence, elephants, and starry nights have become commonplace and it will be hard to tire of these things. Every day we spent out in the game vehicles was enthralling. Most camps we visit we make the decision to sit a game drive out in order to relax some, but in the Mara, we didn’t skip out on a single day in the bush. It is also the first park we have been to in Africa where we saw all of the “Big Five,” animals in one day. To top it all off, some of our best photographs have come from the Mara. Sunsets in the Mara didn’t blow us away due to it being the rainy season. However, the light bouncing off the plains and the open areas with little room to hide makes for wonderful wildlife photography. When is Best Time To Visit the Masai Mara? The best time to visit the Masai Mara is in the dry season, late June – October. During this period of time, the game viewing is at its best. The world-famous wildebeest migration arrives in July and hangs around until October. The rainy season typically arrives in March and goes on to May. In full swing, the rainy season will shut some camps down as it is difficult to do game drives with some roads becoming impassable. 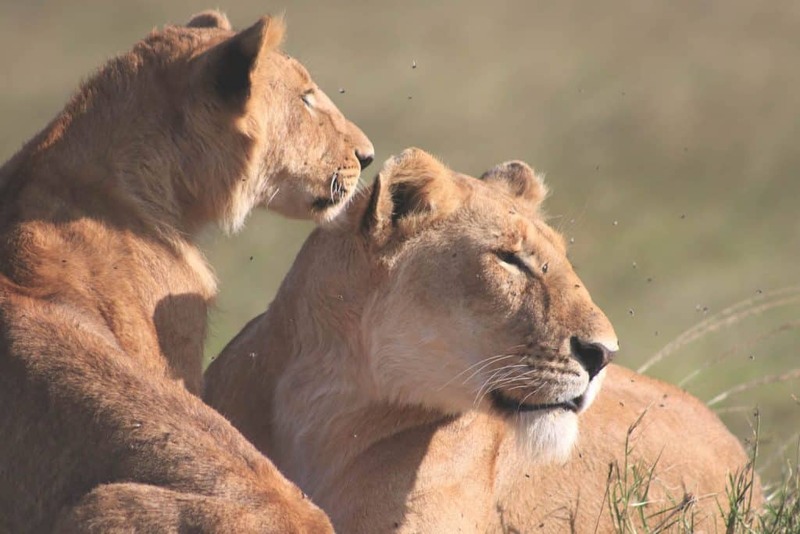 A wonderful time to book a safari in the Masai Mara is the shoulder seasons around Jan-Feb. Visitors will find lower prices and fewer crowds. The rainy season isn’t all bad. Many lodges remain open and offer green season rates which can be up to 50% of their high season rates. Green season in the Mara also brings about the births of many young animals and fewer crowds. In my opinion it’s always best to visit in shoulder seasons; however, if your end goal is to see the migration expect to find crowds and have deep pockets. The park is home to all of the “Big Five” animals. The park’s population of Rhino are under constant threat and have risen back to around 40 after being nearly wiped out in the ’80s. When it comes to cats the park is well known and most visitors will come across a pride of lions and cheetah. In nearly a week around the Masai Mara, we observed eight different lion prides, five cheetahs, and spotted our first serval and African wild cat. Birdlife in the Masai Mara is abundant with 470 species calling the park home for at least part of the year. We spotted bateleur eagle, lilac breasted roller, ostrich, crowned crane, lappet faced vulture, pygmy falcon, and secretary birds. One of our favorites, the lilac breasted roller, is also the national bird of Kenya. There are few natural events in the world that can compare to the spectacle that is The Great Migration. Between Tanzania and Kenya a massive herd of nearly 1,300,000 wildebeest, 500,000 Thomson gazelle, 200,000 zebra, 97,000 topi, and 18,000 elands migrate in search of fresh grass. The monstrous herd moves between the Serengeti and the Masai Mara producing an amazing sight. The migration arrives in the Masai Mara around the beginning of July and around October. If you plan on going expect to pay sky high lodge prices and book well in advance. The greatest wildlife show on earth draws a crowd. We visited the park in the green season. 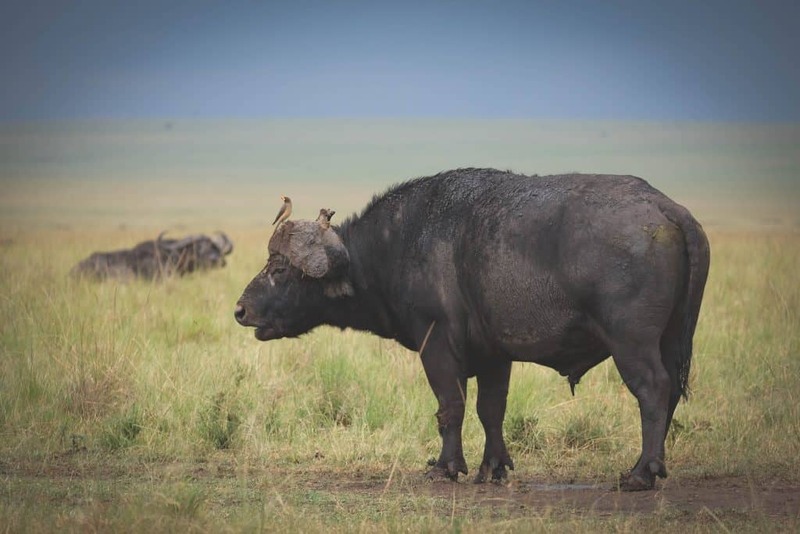 However, due to our changing environment, the rains arrived much later in the year and despite visiting in mid-April we witnessed the first of the rains. 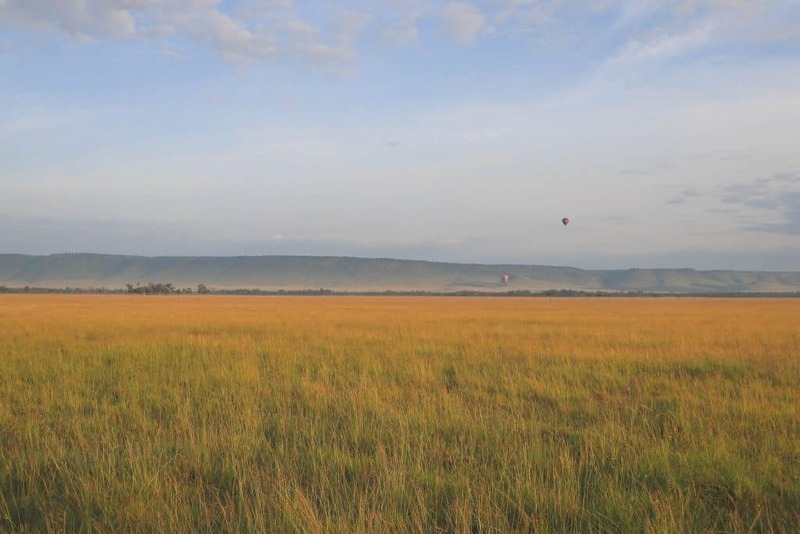 The landscape of the Mara is largely open grasslands with seasonal rivers cutting through. Covering 1,510 square km or 583 square miles the park occupies a small section of the greater Serengeti-Mara ecosystem. At the southernmost border of the park lies Tanzania and the Serengeti National Park. The North, West, and Eastern are bordered by Maasai communities who live as pastoralists. Set inside the Great Rift Valley, the park is considered a UNESCO World Heritage Site. The western border of the park ends at the Esoit Escarpment which is the western side of the Great Rift Valley. Asides from the rolling grasslands you can also find forested river banks, acacia woodlands, swamps, and thickets. The Maasai are the ancestral people of the Mara. History remembers them as fierce warriors and tough pastoralist. 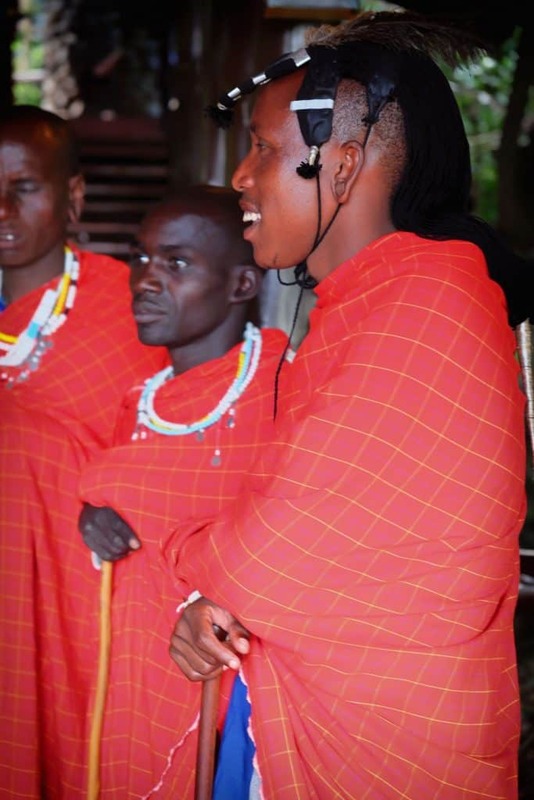 To this day many lodges around the Mara employ the local Maasai from the communities as their “askari” or security guards. 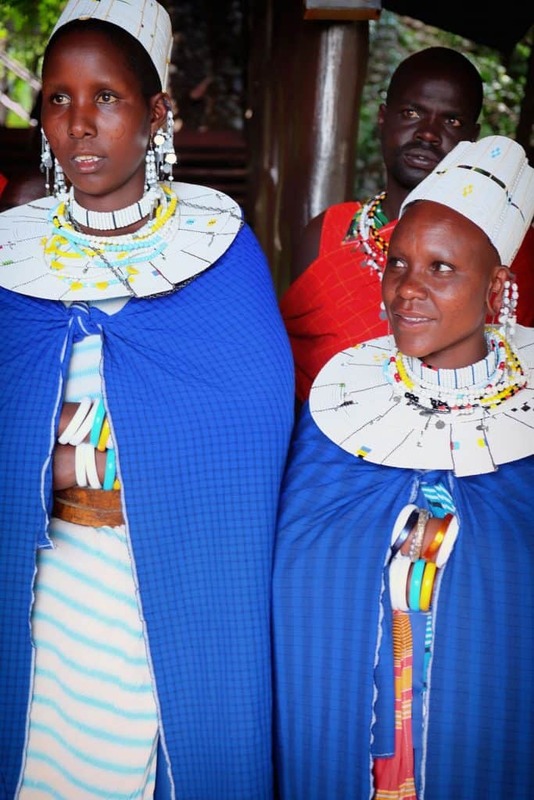 Maasai are well known for their rich cultural heritage. Their deep ties to the wilds of Africa and living around the national parks of Kenya and Tanzania are intertwined with the safari industry. You can find them living all around the Masai Mara reserve and many lodges arrange cultural visits and sell their crafts in camp. We found Masai working in all positions, including our guides, at the camps we stayed at in the Mara. 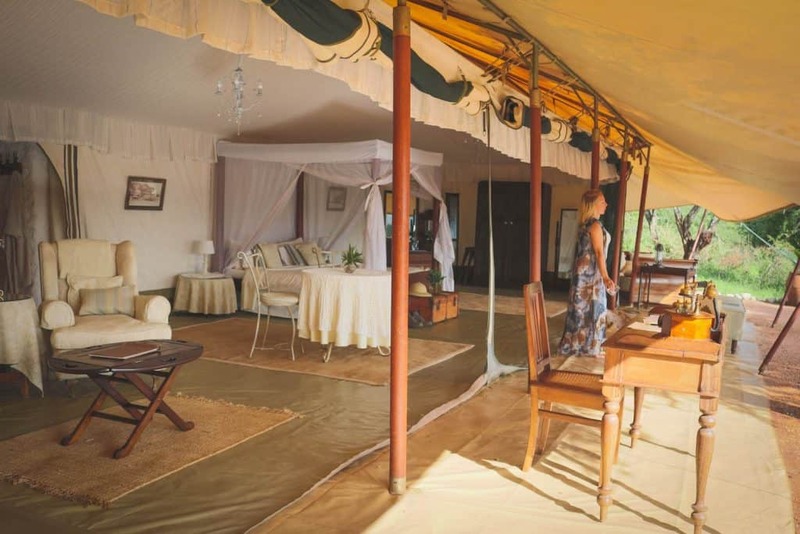 Nearly a century ago in an exceptional part of the Mara the governors of colonial Kenya had their exclusive camp along the banks of the Mara River. The spot was world renowned for its exceptional game and beauty and was the camp Teddy Roosevelt used on his safaris. 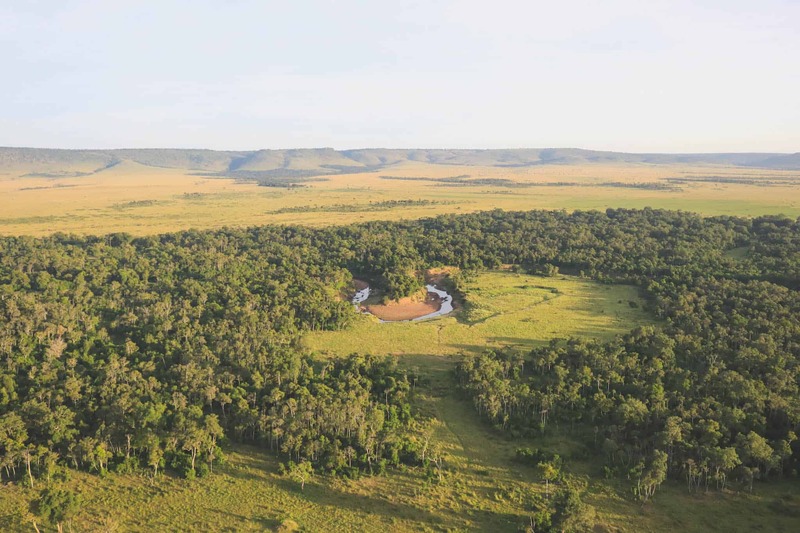 That very spot is now home to Governor’s Camp, the first tented camp in the Masai Mara. Over the years the operation has expanded and it is the largest we have stayed in with nearly 37 tents. Although, the charm is not lost as the camp feels spacious and the river forest acts as a natural barrier between guest’s tents. Many tents either face out to the Mara River or to the Masai Mara plains and the tranquility is not lost. The tents themselves are all canvas and the sounds of the Mara spill right into the room. Grunts of hippos, roars of lions, and calls of hyena are a nightly occurrence. 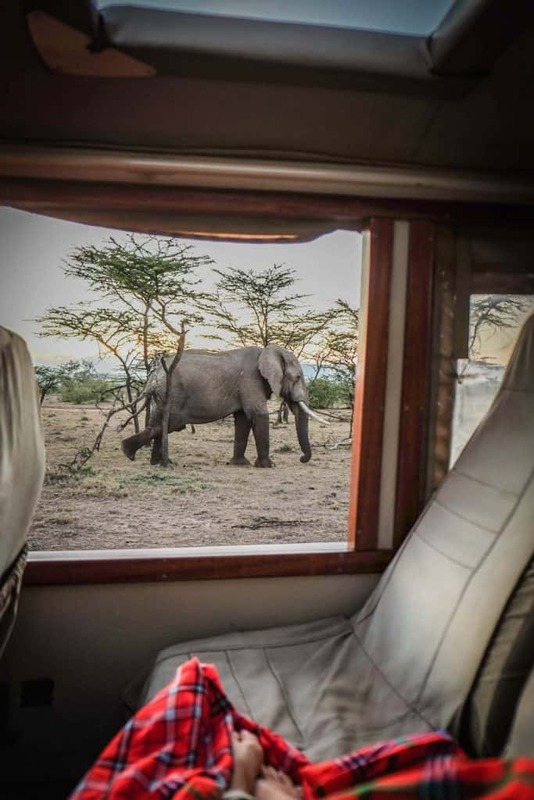 These animals also frequent the unfenced camp, and we even awoke one night to an elephant rubbing against our tent poles. 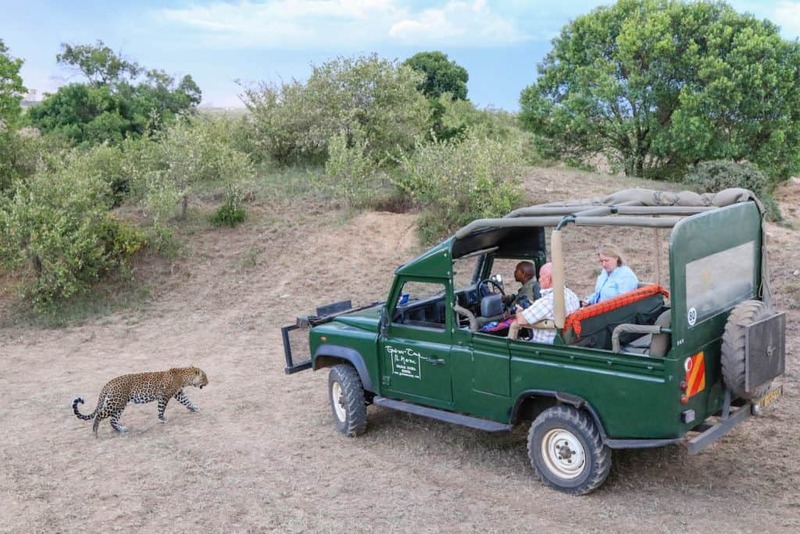 This provides guests a real sense of being in the wild, but never too close to danger with the everpresent Maasai security on hand. Modern amenities are not withheld in the tents, all the tents include WiFi, flush toilets, and hot showers. The beds are comfortable with hot water bottles waiting under the covers for those chilly nights. While the main bar has a large deck that extends out over the river with comfortable seating. Game viewing around the lodge is exceptional and arguably some of the best in Africa. At the time of our visit, the camp was surrounded by literally thousands of zebra. They covered the landscape in stripes of white and black. We found cheetah, lion, and elephants daily. To our surprise, despite being in the middle of the Mara we saw few other vehicles that were not from our camp. 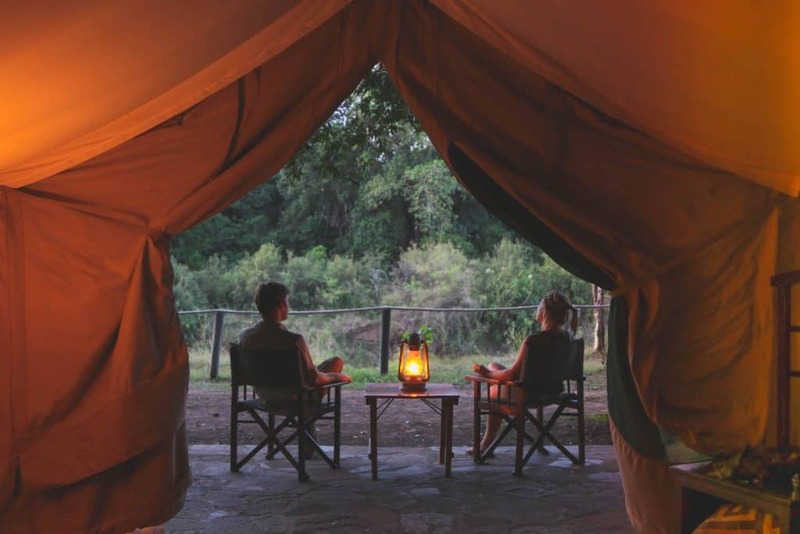 Governors operates several camps within the Mara including Little Governor’s in the Mara Triangle, Il Moran, or their exclusive Private Camp. 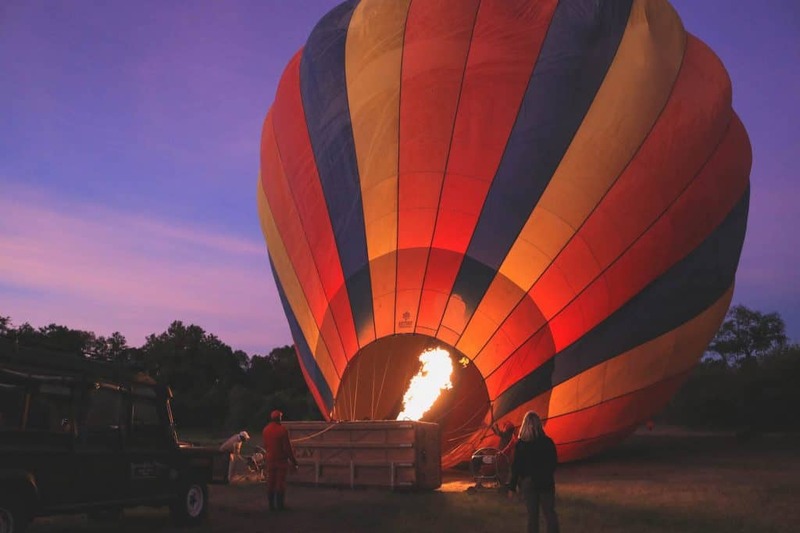 They also run Governor’s Hot Air Balloon safari, which is arguably the most magical thing you can do when in the on safari. At Cottar’s 1920s Camp guests are transported back in time to the essence of the original safari. Their guide on this journey is Calvin Cottar. The Cottar family has been guiding guests around Kenya since those early days. They are the “safari family,” and have guided a long list of celebrities, royalty, and aristocrats over a century of operating in Kenya. Taking up the reigns of his family heritage Calvin and his wife built the Cottar’s 1920s Camp and formed the Olderikesi Conservancy. 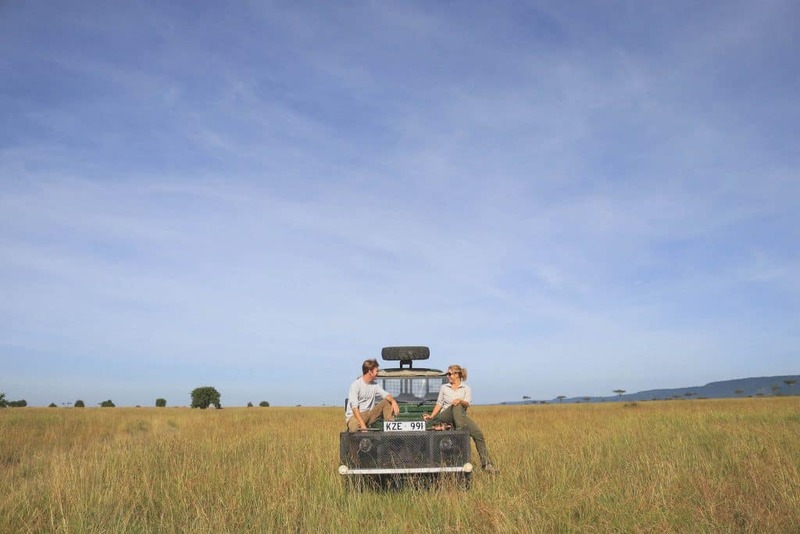 The 22,000-acre concession is exclusive to the camp and borders both the Serengeti and Masai Mara. Game drives around the conservancy also dip into both parks providing a real sense of adventure in pursuit of wild game. 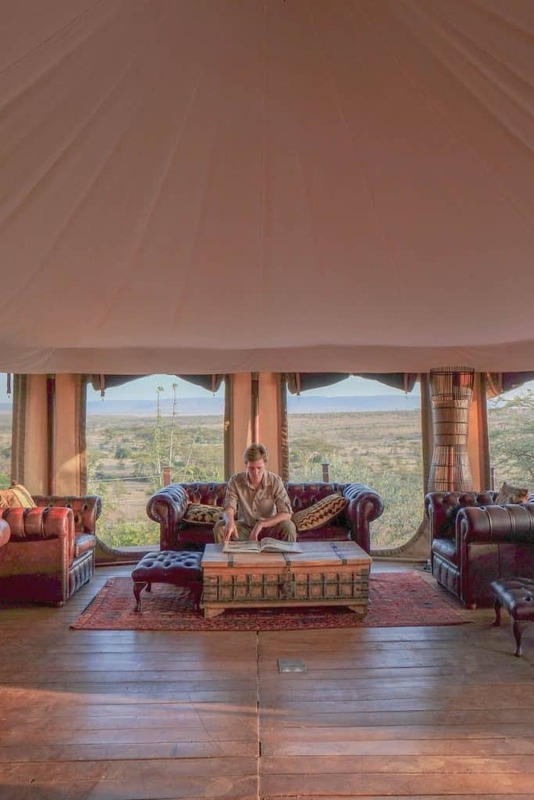 Meanwhile, the camp is filled with authentic antiques, family photos, and artifacts from a century of safaris now used decoration for the main lounge and tents. 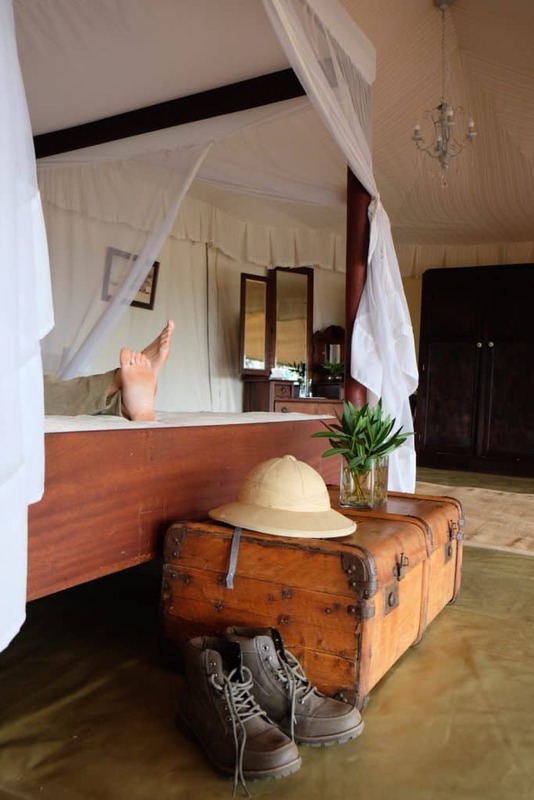 Tents at the 1920s camp are a throwback to the former golden era of safari with all the adventure, romance, and atmosphere. If there is one camp to live out the movie “Out of Africa” this is the one. The large white canvas tents roll up to reveal sweeping views down to the Serengeti and Masai Mara. The beds are four-poster and a working gramophone sits casually on an antique trunk. Bathrooms are ensuite and a woodfired hot water heater ensures guest always have a hot shower. Experiences on offer here are unique and luxurious. 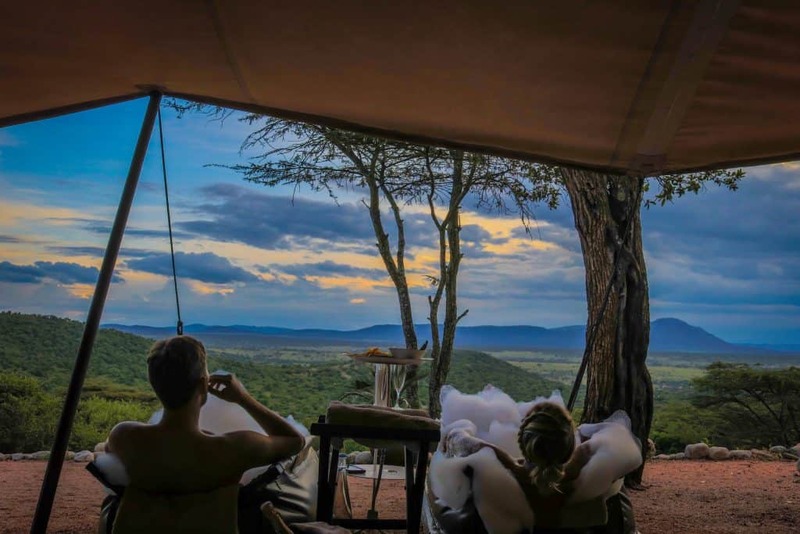 Guests can partake in bush walks, game drive in the family’s 1940 Rolls Royce, bush dinners, spa services (every tent receives a complimentary 30-minute massage), and even a canvas tub bush bath. So make sure you have some nice outfits and a good pair of safari boots packed in your bag. Trends in the safari business appear to ensure that guests do not go without modern amenities these days. As with the other camps, we stayed in the Mara WiFi was in the rooms. It was a nice change as lodges are moving the internet out of the main lounges to encourage socializing. Dinners at Cottars were wonderful with family style seating and alcoholic drinks included. Cottar’s 1920s Camp has been featured in many editorials and it is widely considered one of the best safari camps in Africa. 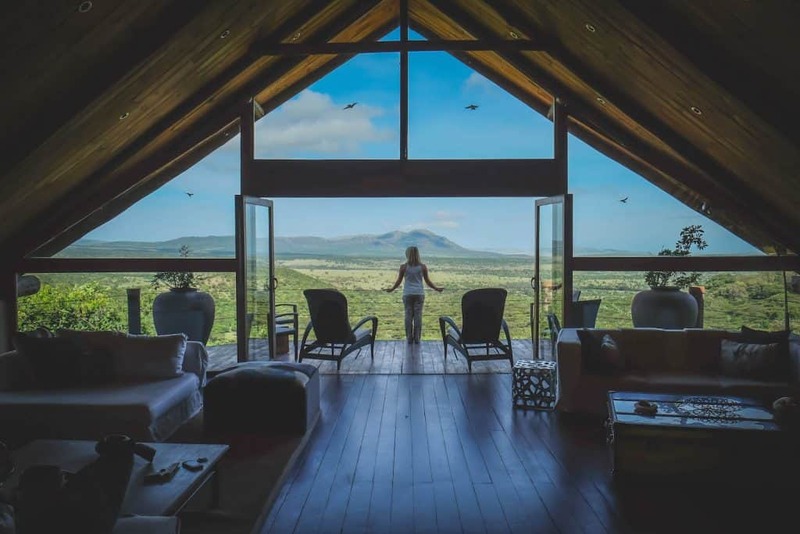 In conjunction with the stunning safari modern bush villa, the Cottars property is a clear winner around the Masai Mara. 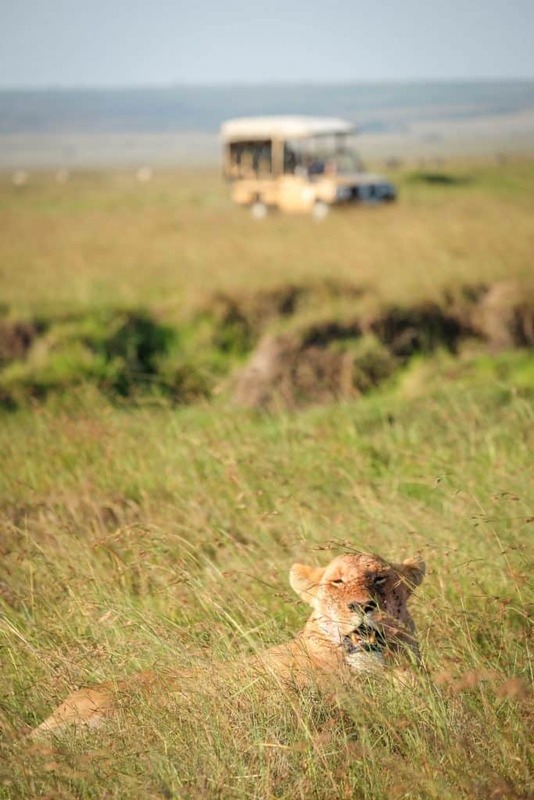 Located on the award-winning Naboisho Conservancy, Hemingway’s Ol Seki offers guest an amazing wildlife experience. The camp is intimate with ten tents perched on an escarpment. Tents are massive and modern with canvas all around including two massive family tents. The bathrooms and luggage area are large and we always had hot water. We could have used a bit more interior decoration in the tent and found the “daybed” to be out of place and too large. The main lounge was lovely and the perfect spot to have sundowners, read a book, or socialize. It was decorated with leather couches, large quilted rugs, and plenty of coffee table books to enjoy an afternoon between game drives. Ol Seki overlooks a manmade watering hole that was frequented by various antelope and hyena in the night. While the main deck sits on a large rocky outcrop that made for a fantastic spot to watch the sunset and have a romantic fireside dinner. We loved the game drives in Naboisho and our two Maasai guides, Rafael and Patrick, were fantastic. Our guides came from the conservancies guiding school and they were very familiar with their own land. Their passion for guiding and wildlife was evident and we found them to be our favorite guides in the Masai Mara. Sundowners, game drives, and morning coffee with them was a treat. Ol Seki works as a great camp in conjunction with Hemingways Nairobi. 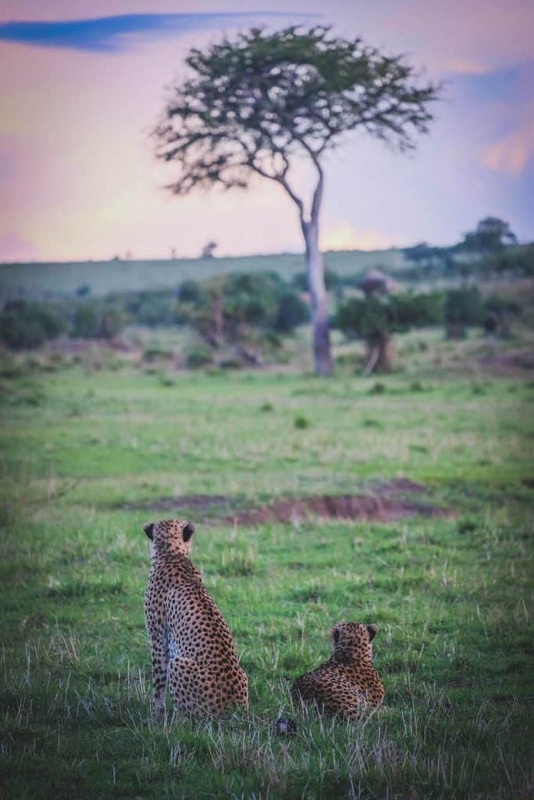 They are well situated in a wonderful private conservancy and have all the amenities to ensure a comfortable safari. It is possible to camp on your own in the Masai Mara. 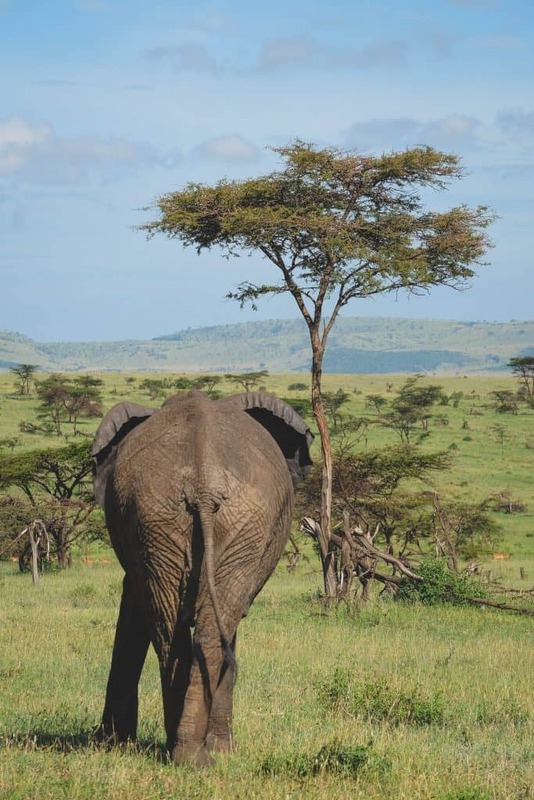 The Mara Conservancy offers three basic public campsites and five private campsites. The public campsites operate on a first come first serve basis and take no reservations. While the private campsites are open to the public via reservation. All campsites require the hiring of two-night guards for 2,000 KSH each. You can find our more info such as booking and GPS coordinates on the Mara Triangle website. The best way to get to the Mara is without a doubt a bush flight. Bush flights are carried out by light aircraft that can land on the various dirt runways around the Mara. Governor’s Aviation dropped us off right at camp with the airstrip only 10 minutes away from the Governor’s Camp. We used Fly-SAX to get us around most of Kenya. They are a great regional provider offering flights all over Kenya with a number of international destinations. We booked our flight from Entebbe, Uganda to Nairobi via SAX and had a good experience. SAX is also the only company with the commercial rights to land on Cottar’s private air strip. The only other option to arrive at Cottars is via a private plane or lengthy drive in. We booked our flights around Kenya with SAX who flew us into Mombasa and Diani Beach, or Ukunda Airport. We took one drive to the Mara and it was a long day. From Nairobi, the Masai Mara is about six hours away. Once we hit the dirt roads past the town of Narok we were reminded why we sold our truck in Uganda. It a long road that is badly corrugated. They are in the process of putting in a new road, but time will tell if they Kenyan government finishes the job. 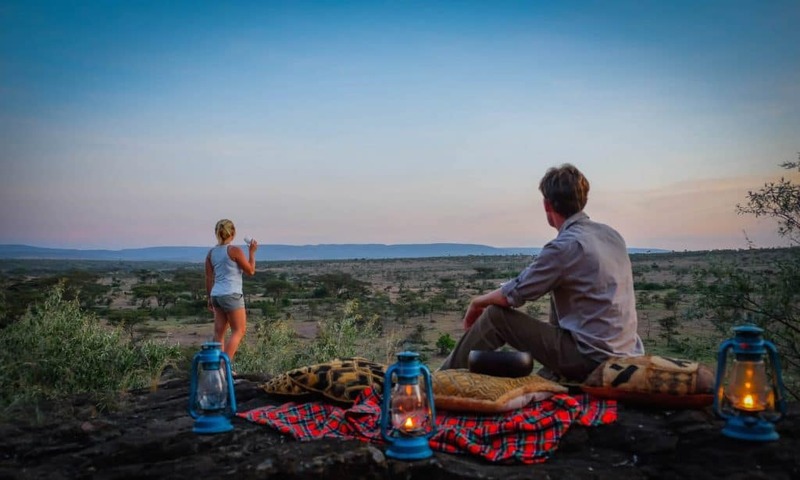 There are a number of budget places and campsites to stay outside of the park and around Narok so you don’t have to pay an arm, leg, and another arm for a safari in the Mara. If you’re looking for a full budget safari tour from Nairobi this is a great option. A good hat is both stylish and functional. In peak dry season there is little to provide shade, UV rays are intense and can easily burn the unsuspecting traveler. Check out our full break down of the best safari hats here! I used this a lot in the on my Ruaha safari. Early mornings in the park can be pretty chilly so it helps break the cold. Once the sun comes out temperatures climb and things get very dusty. So, I use the shemagh to cover my face and electronics. If you’re planning on going on a walking safari, make sure to pack a good pair of safari boots. If you want to be able to spot and identify wildlife and birds then a good pair of safari binoculars is a must. Packing the right safari clothes is always a good idea, but it’s never essential because you can wear whatever you want. We also go in depth on the best women’s safari clothes! A great daypack for travel is a solid idea to throw your stuff in for game drives and bush flights. Or you could try out a safari backpack. Make sure to get travel insurance before your international trip. We like to use World Nomads! If you want to get decent photos of wildlife on your safari to make sure to grab a camera well suited for your safari. We recommend at least one solid pair of safari pants. Vests are great for storing all your belongings while on safari. Wear a dress to feel and look stylish on safari. For when it gets hot on safari, and trust me it will. To keep warm at night! 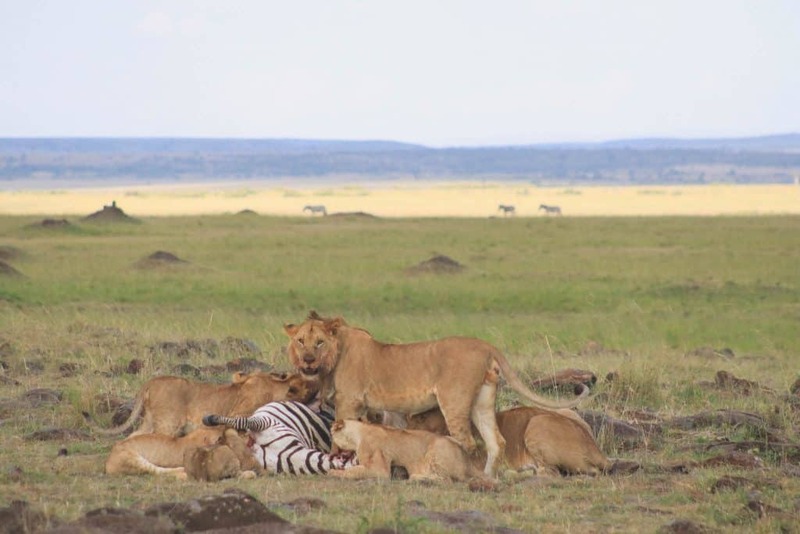 Check Out Kenya Safari Tours! People take malaria a little too seriously in regards to travel in Africa. The Masai Mara is dry and at an elevation. Towards the end of the rainy season mosquitos may be present; however, malaria is very uncommon. The best defense to malaria is prevention. That means wearing insect repellant and long sleeves at night when the mosquitos carrying malaria bite. I’m heading to the Masai Mara in a few weeks and found this incredibly useful as I don’t know what to expect. All the camps you stayed at look amazing, may even extend my trip to go to Cottars for a few days. THANK YOU!